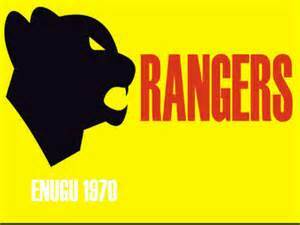 Enugu Rangers to Report Ghana’s League Body to Fifa over Unpaid Debts. Officials of Enugu Rangers FC are considering reporting the Ghana League Clubs Association (GHALCA) to Fifa over claims the league body refused to pay the Nigerian club appearance fee, after competing at the President Cup tournament. A Chief Executive officer of the Enugu outfit, Ozor Paul Chibuzor, said since the GHALCA has refused to redeem their pledge, the Nigeria Professional Football League (NPFL) Club will now take the case to world football governing body Fifa. “Nigeria and Ghana have good relationship that’s why we wanted to settle this case amicably but it seems the association don’t want it that way. Lewandowski’s Four- Goal Show makes him the Talk of Europe. Moyes Loses First Game as Head Coach of United. Mba’s Transfer: Wolves dismiss claims they have reached agreement with Rangers. Federer Beat Murray to Reach Australian Open Semi-Final. Next articleCode of Conduct for Eagles Delayed Until After Qualifiers. Future And Ciara Got Engaged On Ciara’s 28th Birthday!